A new environmental DNA (eDNA) metabarcoding project will leverage $2.6 million in new funding over three years to monitor and assess the health of Canada’s freshwater systems with unprecedented speed. “Factors such as urban development, mining, and climate change are affecting the health of our freshwater. 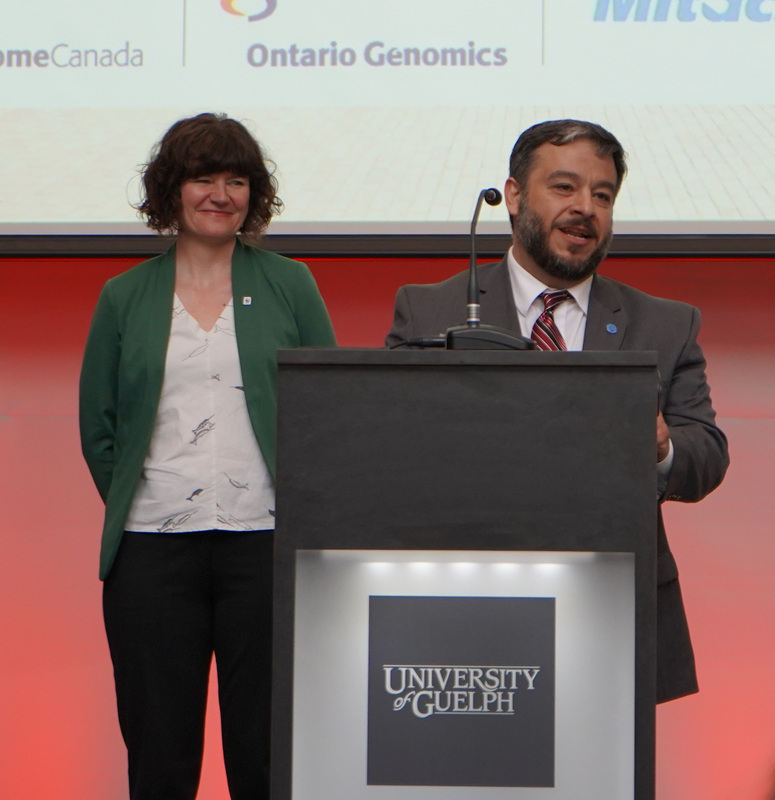 Now, with new cutting-edge DNA technology, we can quickly generate valuable scientific data to monitor and measure those effects,” said Dr. Mehrdad Hajibabaei, project lead, Associate Professor in the Department of Integrative Biology and Faculty Advisor for Centre for Biodiversity Genomics at the University of Guelph in Ontario. The project, called STREAM (Sequencing the Rivers for Environmental Assessment and Monitoring), is a partnership between U of G’s Centre for Biodiversity Genomics (CBG), World Wildlife Fund-Canada (WWF-Canada), Genome Canada, Living Lakes Canada, and Environment and Climate Change Canada (ECCC). Funding for the project was announced by The Honourable Kirsty Duncan, Minister of Science and Sport, on February 4th at the University of Guelph. “This funding not only supports rapid health assessments of freshwater ecosystems, but it also provides a unique opportunity for scientists, NGOs, government and the public to collaborate and address the challenges facing one of Canada’s most precious resources,” said Hajibabaei. Project STREAM will validate and implement eDNA metabarcoding as the primary approach for generating biodiversity data for freshwater benthic macroinvertebrates – the small animals that live at the bottom of rivers and streams. Compared to current methods, eDNA metabarcoding enables faster, more cost-effective biomonitoring with better diagnostic resolution. This method allows for the accurate identification of millions of DNA fragments, providing a powerful tool to survey aquatic species simply by detecting traces of their DNA in a sample. Citizen scientists will help with water sample collection in a range of freshwater environments, particularly where there has been little testing in the past. Watershed protection groups, First Nations communities, and students will play a key role in gathering samples from the rivers, lakes and streams around where they live. WWF-Canada and ECCC will offer standardized sampling training to citizen scientists across Canada. The first set of water sampling is expected to be completed by June 2019. Analysis and interpretation will take place at the CBG in Guelph with its fully integrated genomics and bioinformatics pipelines. STREAM will also generate a web portal for making the data and reports available to all stakeholders. Having access to the most up-to-date data on freshwater health can empower governments, various stakeholders, and citizens to make informed freshwater management decisions, said Hajibabaei. The first STREAM data report is expected to be publicly available in August 2019. 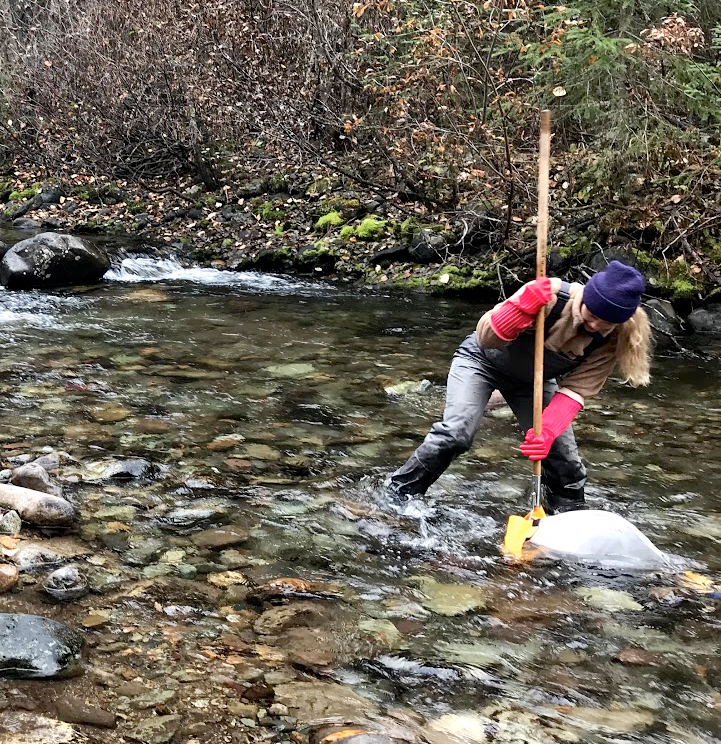 Raegan Mallinson from Living Lakes Canada stream sampling at Driftwood Creek in the Bulkley watershed, October 2018. Dr. Mehrdad Hajibabaei addresses the audience at the funding announcement held at the University of Guelph on February 4th, 2019. He is joined by Megan Leslie (president and CEO of WWF-Canada).